This polish holds a very special place in my heart, which is why this post might be a little long and have a ton of pictures. And also, I accidentally hit my middle finger so that little dent is totally my error and not the polishes fault. Sinful Colors “Let Me Go” is one of the few polishes I have repurchases. I have to start off by saying that I stopped biting my nails at the same time that my best friend did. Funnily enough, we did it completely independently of each other. We both decided that it was a disgusting habit and were finally fed up with always having out hands in our mouths. We successfully stopped by painting our nails with Sinful Colors polishes. Again, we did this independently of each other, which is something we still laugh about today because we talk literally every single day. Another thing we did independently of each other is buy this polish. In the early days of our nail polish exploration, we had maybe 3 polishes. This was the 3rd polish I bought after I stopped biting my nails. This was also another one of her first polishes and we raved about this polish to each other, until we realized that we were talking about the same polish. We each lived in this polish for roughly 3 months before we starting branching out to other polishes. But this is one of the only polishes I’ve ever repurchased. I can count on one hand how many polishes I have actually repurchased and this one takes the cake for the polish that I’ve purchased the most bottles of. Its amazing that even after all these years of being obsessed with nail polish, I still go back to this polish. Let Me Go is a sheer pink polish that shimmers green, blue, white, purple and every other color under the sun. 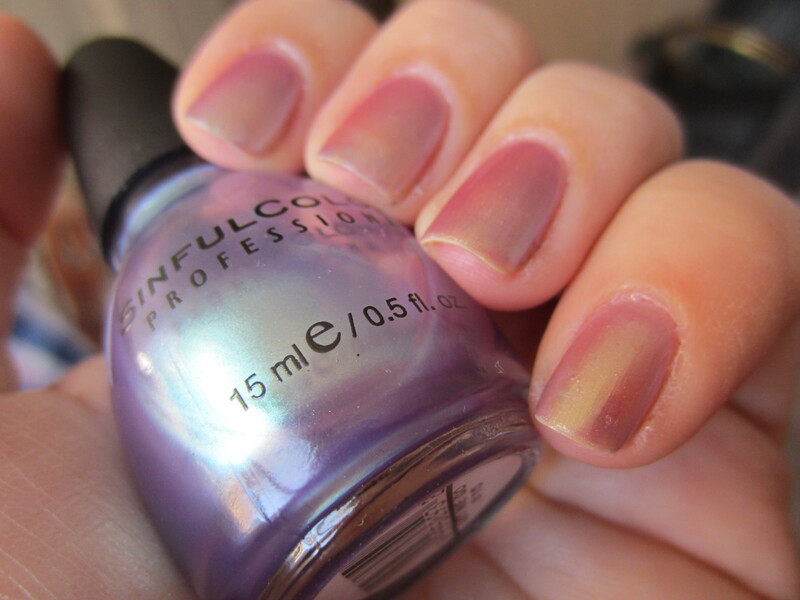 This was the first duochrome I ever owned without knowing what a duochrome even was. This is 3 coats and unfortunately the dry time isn’t great. Doing one manicure takes way too long and I normally get bored before the last coat is semi dry, but because this holds such a special place in my heart, I don’t mind working with it. 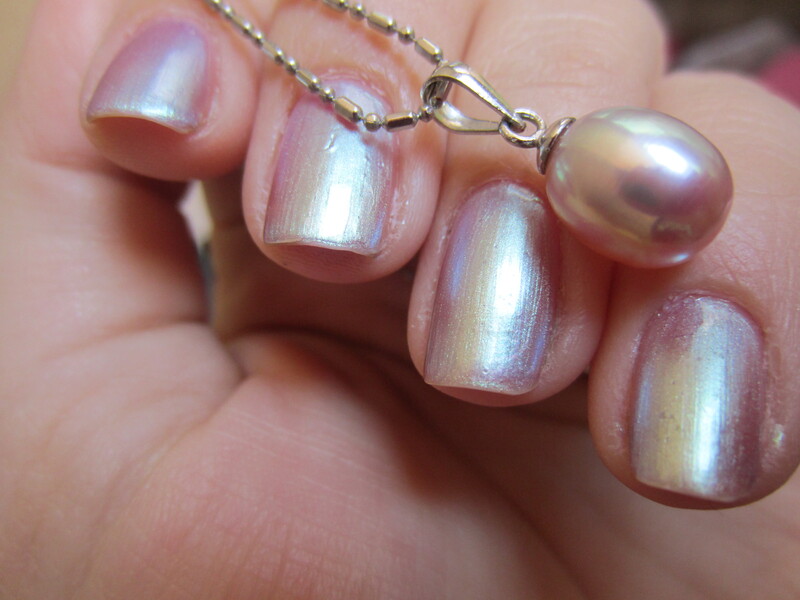 This polish reminds me of a pink pearl and luckily enough I have one to compare! They are seriously identical! Plus the fact that it is $1.99, you can’t beat this. It kind of reminds me of those frosty colors from the 90s but I still like it. But be warned, the dry time is kind of long so it is a little bit of a pain. To me its worth it though. The Look For Less! Dupe Alert! This is a gorgeous shade, I absolutely love it! AND WANT IT! What a cute story! I can see why you repurchase it– a beautiful polish. Amazing color! Totally love it! Where did you buy it? I really like this!! And I love Sinful Colors! awww thanks! after wearing polish for a long time and experiencing other brands i’ve realized it isn’t the best formula or finish but i still love it!